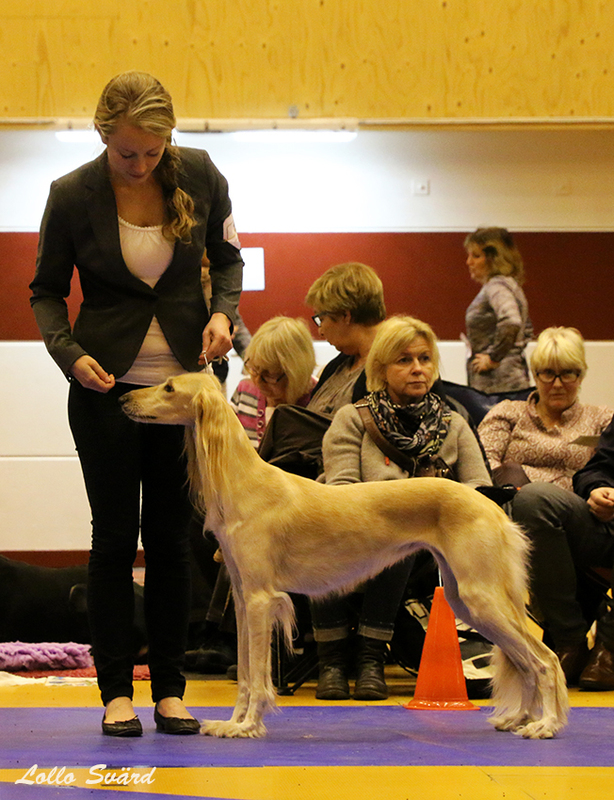 Two days ago we went to Swedish Kennel Club’s international dog show in Växjö. 45 salukis were entered and I was not even dreaming of any placement before Emma got Oonah to win Open class. These two are really great together! 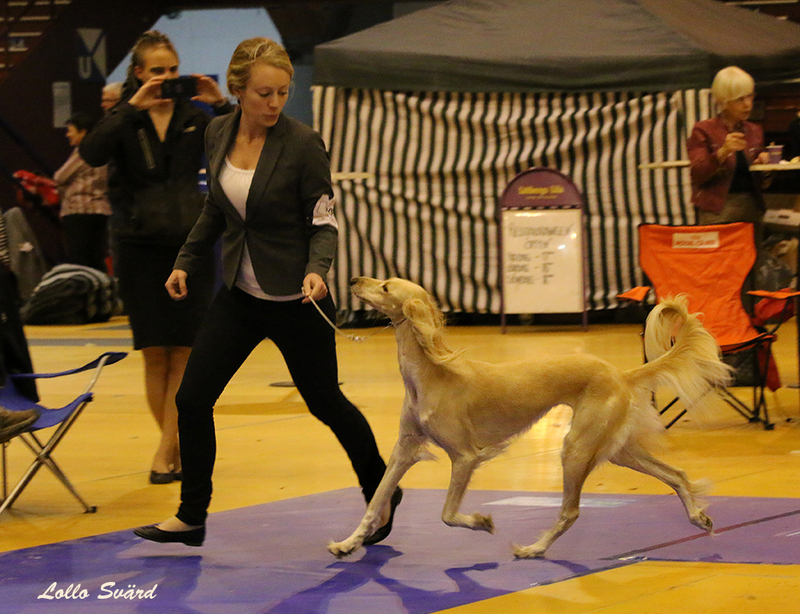 Oonah ended up as BOS with CAC and her 4th CACIB. She now have CACIB from Sweden, Denmark, Germany and Croatia. 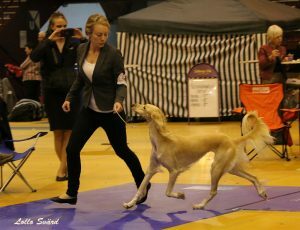 I am so proud for my little girl and grateful to Emma for showing her so well. 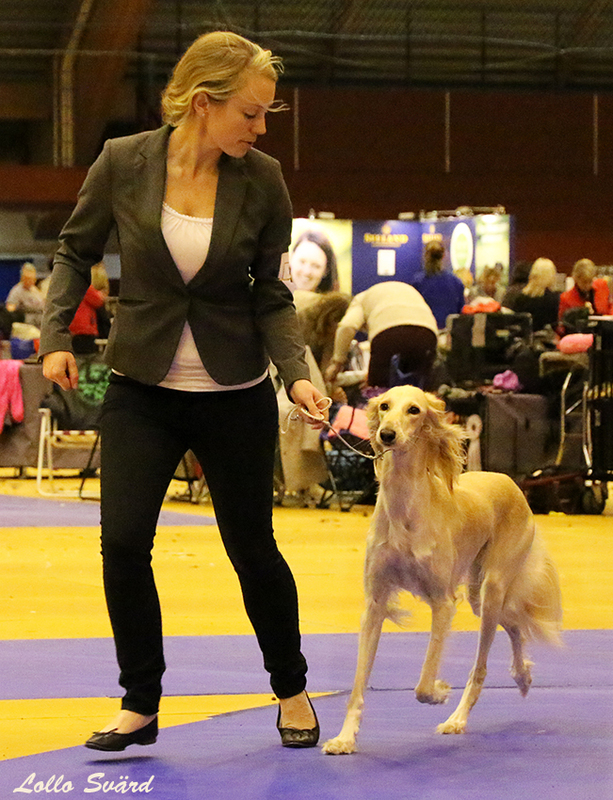 I also met Lollo Svärd, a well-known photographer of salukis. She took these beautiful pictures of Oonah and Emma! Thank you Lollo!